RG1375AP – An amazing newly built villa for sale Rogoznica is situated close to the sea and the center of the lovely Rogoznica town. The property has a total surface of 275m2 and it is placed on an 869m2 plot of land. 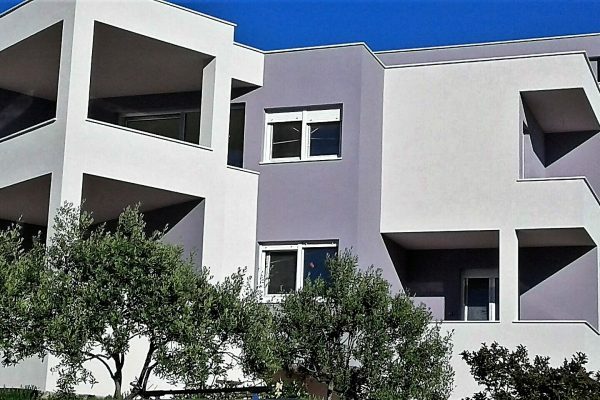 The villa for sale Rogoznica is architecturally split into two vertical parts and it consists of a ground floor and the first floor. Its ground floor has a total surface of 103m2 and it consists of a storeroom, 2 toilets, a sauna with a shower, spacious and open-plan living area, and a gym; the plan is to convert this gym space into an en-suite bedroom. The first floor of this beautiful house has a total surface of 142m2 and it consists of four en-suite bedrooms, a storeroom and two balconies. The sea view from the first floor is really amazing. The property also includes an unfinished studio apartment of 30m2, which is an excellent advantage. The surroundings of the house include a parking area, a barbecue house and a beautiful pool with a sundeck. If the size of the plot isn’t big enough for you, there is the possibility of buying parts of the neighboring plots. This is a high-quality, spacious and modern property with luxurious feel, perfect as a second home as well as a superb rental unit. 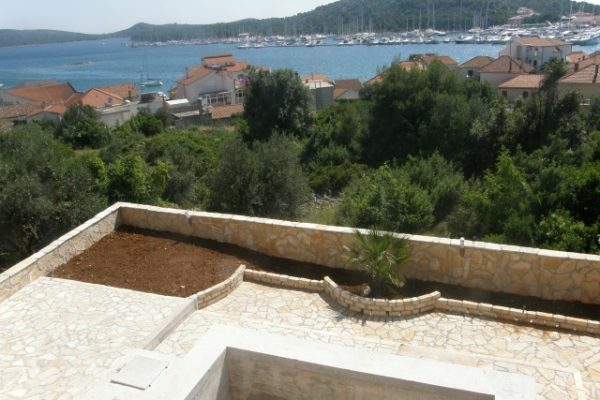 The property is situated in a quiet residential area close to Rogoznica and all amenities. Here you can enjoy a relaxing holiday with the ones you love and refresh in the pool or in the crystal-clear sea that is only 70 meters from the house.